On apperance this hotel is beautiful, our stay was between 4/6/13 to 18/6/13 Our room was a sea view and very clean. Food was good however a bit repeditive. The majority of staff were helpful. Evening entertainment was poor. We had an issue about smokers in the outside food area when raised with the manager, very abrupt and unhelpful. Main issue was we were returning on a night flight and promised a shower room which was shocking freezing water and filthy and no refreshments offered by grumpy staff..
Wouldnt return to this hotel and wouldnt recommend all inclusive. Family spent two weeks at the caravel in august 2012. Accommodation very good, facilities 4* Pool area good and right beside the beach - excellent. All incl for food and drink but buffet gets boring into the second week. very good tavernas close by. 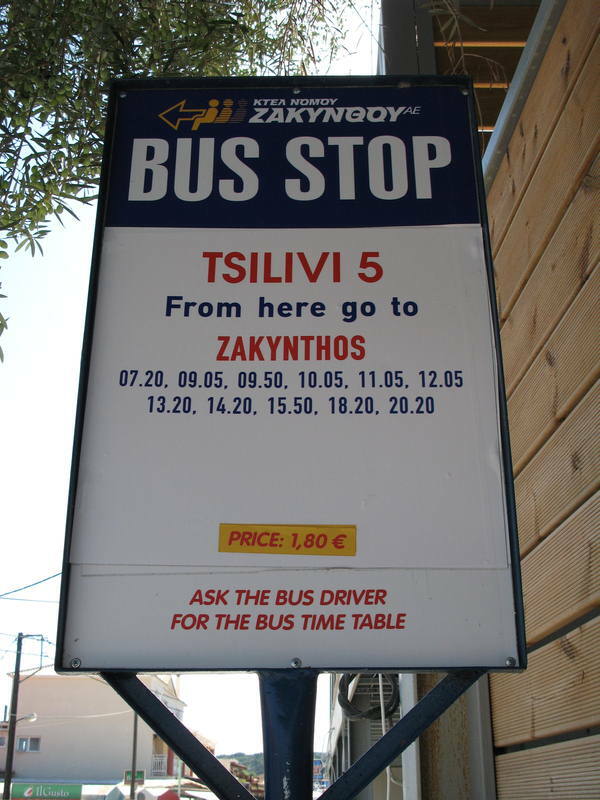 Trips good value and would recommend buying locally; much cheaper than the tour operators. If you go check out captain spiros, levante powerboat - brilliant. we can say that we helped the greek local economy.
. Caravel hotel was fab. It was clean, room speacious, cleaned every day. Food lvly. Pool area gr8. Location fab would defo go back again. staff friendly and welcoming. Went to beach nearby thru water. Used pedlos on site. We have just returned from our 2nd holiday in Tsilivi. Last year we spent a week at the Caravel and enjoyed our stay so much that we returned again this year for 2 weeks - we haven't been disappointed! Both times we have booked a room with a side sea view, the room was cleaned on a daily basis with towels and bedding changed. Each room has it's own fridge - very handy for keeping drinks cool. We were on half board and the food was excellent, we really were spoilt for choice both for breakfast and dinner. The Hotel is situated at the very end of the resort - so if you want a busy nightlife this is probably not the hotel for you, however, this is what we liked, we could walk one way into Tsilivi but the other way was very peaceful and quiet. Last year we did the two boat trips - to visit the Ship wreck and also to see the Turtles. There was a small amount of entertainment in the Hotel, a couple of evenings during our stay we went out to a local bar with live music- most of the time we stayed in the hotel and relaxed at the bar - again the choice was ours. The Staff were brilliant - very helpful and friendly, and really made our stay special. We are hoping to go back again next year and just hope that most of them will be there again! We have just returned from a one week stay at Caravel Hotel (30 September to 7 October. We booked for half board accomodation about 2 months ago. The hotel also has an all inclusive option. If you are thinking about this don't bother. We found the food to be acceptable most of the time, but even only at the beginning of October with 3 to 4 weeks left of the season there were no daytime or evening activities, as advertised in the brochures. The worst thing about our holiday was the variation in the standard of the accommodation at this hotel which describes itself as 4 star. It most definitely is not. Our first room was in the Apollo Block, which is separate from the main hotel. Our room was next to the road into the hotel complex. We didn't open the shutter doors or the patios because of the noise and the lack of privacy. The room itself was dingy and not particularly clean. We immediately asked for a change. The man on reception told us to come back on Monday morning. We did, only to find a young couple there wanting to change rooms. We looked at their room and they looked at ours. Their room was worse than ours. It had a front entrance with a steel door and a back entrance below ground which was used as a dumping ground for such as old beds and rubbish! We were offered a sea view room in the main hotel for 10 euros a night. The young couple didn't want it so we paid the extra and moved in. We could have been in a different hotel. We had not only paid for a sea view but for a better room - decor, the lot. Surely all rooms should be of the same standard? During our stay we heard from many other holidaymakers at the hotel of their disgust at the standard of the rooms. We most certainly will not be recommending the hotel to anyone. Went to the Caravel week beginning 23rd September, our first room was in the building called Apollo, there was a huge generator outside the room and we looked out onto the delivery area, the room was very grotty and below standard. We went back to reception and asked to move rooms, we were told that the staff member on duty was on her own until monday and we could pay 10 euro a day for a sea view room. So we said fine call us Monday and we'll take a look. Monday came and we were shown the new room with a sea view, (building called Zeus) but when we went out on the balcony it looked out on the car park you could see the sea over the trees if you stood on a stool. We went back to reception and said this, we were told its a side sea view (go figure?) and did we want it or not. We paid the 50 euro and took the room as it was decorated to a much higher standard than the first room and was bigger and brighter. Food wise its muck, hot food that's cold and really sub standard I had better buffet options in Pointins as a kid. We only ate the dinner once and breakfast wasn't much better we had that twice there are nice restaurants around for good value lovely meals. Only good thing we availed of in the Hotel was the masseuse, she was great you book her and she comes to your room, she was brill and not expensive 33 euro for a full body 50 minute massage or 18 euro for a back massage, well worth it. Would we return to the Caravel - Never, Would we recommend it - No, if you have been unlucky enough to have a booking made make sure you've a sea view room, pay the extra as the standard is better, cleaner and brighter. 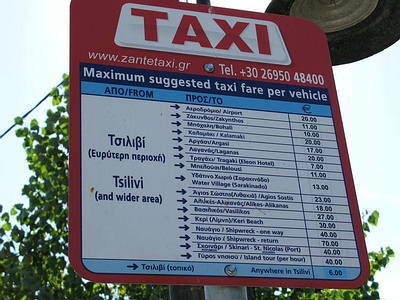 Its a 15 minute walk to the main area of bars and clubs, zante was a nice place but Kos and Rhodes town are much nicer. For the same price I stayed in the Iberostar Panoroma Kos half board and its far superior, the bread buffet there is bigger than the entire Caravel Food buffet! Just got back after a fantastic 2 weeks here. The hotel was excellent, nice food, rooms cleaned every day, and the staff were all very freindly and helpful. We found the entertainment team and bar staff were superb and made our stay at the hotel one to remember, a BIG thanks to Joseph, Nikos, Ralouka, Susanna, Erwin, Yanni and the rest of the guys for making our stay so good, we will definately be back, just hope you all come back again next year. Great for family holiday - right by the sea which was blue and clear. The beach was very narrow and stoney but nice for strolling along. Never too crowded. Pools lovely and well maintained but no life guard so you have to watch your own children. Lots of room around the pool and a shaded garden area to relax in. You need to get up early!! to claim a sun bed, towels every where!! Mostly Germans and few English people. Food excellent and varied menu to suit all. Staff helpful and friendly. Rooms cleaned every day and thank goodness for air conditioning. Entertainment great for children but lacking for adults. The Greek nights were great. Some great bars just a few yards from the gates.We had a wonderful holiday on a beautiful island. I agree with Christina. We have just come back from Tsilivi but did not stay at the Caravel. However, after seeing the animation team do their shows last year, we had to go back this year and yet again it was great. The who;e team were great again and were fantastic with my children. They always made us feel welcome and they always made us laugh. We will be going back next year for definite. Just spent 2 fantastic weeks at the Caravel Hotel Tsilivi. Having read some of the comments from past guests we didn't know what to expect, but we had a super holiday which was a treat for our Silver wedding aniversary. The hotel is in a superb location, the staff were polite,friendly and couldn't do enough for us. Food was varied and of very good quality, rooms were kept spotlessly clean, all facilities were well run. What made the holiday really special was the animation team, they work tirelessly all day to make sure there is something going on for all age groups, always with a smile on their faces and a good sense of humour no matter what. Caravel Land adjoining the hotel is a little gem well worth a visit-in fact we were in there most nights.The entertainment was of a high standard and Yanni the bar man is a star. Would definately recomend the Caravel to anyone. We saw this hotel when in Tsilivi 4 weeks ago. Does anyone know who the travel agents are for this hotel, I looked on signs outside and saw nothing. WE HAVE JUST RETURNED FROM A 2 WEEK HOLIDAY IN TSILIVI. WE WERE NOT STAYING AT THE CAREVEL HOTEL BUT DID DRINK IN THEIR CARAVEL LAND BAR. IT WAS FAB. THE MAIN BARMAN, YANNI WAS VERY PLEASANT. THERE WAS ALSO STAFF THERE WHO WORKED IN THE MAIN HOTEL AND THEY WERE ALL GOOD FUN. THEY WERE THOMAS, YOSEF ,ANALUCA,KATKA AND NIKOS. EVERY OTHER NIGHT THEY DID COMEDY SKETCHES WHICH WERE VERY FUNNY FOR BOTH ADULTS AND CHILDREN. THEY WERE ALL VERY GOOD WITH OUR KIDS AND NIKOS WAS EVEN PLAY FIGHTING WITH MY 8 YEAR OLD, WHICH MY SON LOVED. WE HAVE BOOKED TO STAY IN THE SAME RESORT NEXT YEAR AND ARE HOPING VERY MUCH THAT THEY ARE STILL THERE, AS THEY MADE OUR HOLIDAY. iF ANY OF THE NAMED STAFF READ THIS, THANKS FOR ALL OF THE LAUGHS YOU WERE GREAT AND WILL YOU BE THERE NEXT YEAR. WE ARE THE FAMILY WHOSE SON, ROBBIE, WON THE BOTTLE OF CHAMPAGNE ON THE OLYMPIC THEME COMEDY SKETCH NIGHT. Just returned from a 7 night stay at the Caravel, room was basic but clean and tidy. It was cleaned every day during our stay with fresh towels provided as required. Our view from the balcony was poor in comparison to other rooms in the hotel but it didn't bother us as we didn't spend too much time sitting in. Staff were very friendly and all spoke good english and were eager to please. Food was of a very high quality with a wide range of choice. Prices in the hotel were very reasonable. They had just opened an additional swimming pool and bar during our stay which looked excellent. Location in Tsilivi was ideal (although it is actually in Planos), right on the beach and within easy walking distance of many shops and bars. Can't wait to go back. Just arrived back from the Caravel today and couldn't wait to get on this site to give my comments. The hotel was positioned in the quiet part of Tsvilli and as the brochure says right on the beach which was man-made sand and not yellow sand as expected. One of the biggest problems at the Hotel which could was explained to the owner by myself was the lack of sunbeds around the pool. We counted them one day as on the fourth day we had not still hadn't been able to sit around the pool and there was only 28 beds in total. There were about 300 people staying at the hotel and even if you put another 30 beds around the pool it still wouldn't have been crowded. The reason this was a problem and alot of people complained was because you were charged 3 euros to use the the beds on the Hotel's grass and 5 euros per day to stay on the beach and of course why should you pay more. There was a notice to say that the beds could not be reserved but this was ignored.The food and service in the hotel's restaurant was fine, the cleanliness of the rooms was poor. I spilt orange juice one day on the floor and three days later it was still there. Also, the beds are very hard and uncomfortable. My wife and i have just returned from 2 weeks at the Caravel. Excellent hotel,can`t fault it at all. Very clean and friendly. Plenty of choice of food in the dining room and all well presented, also the waiters were very good. George,the barman,cetainly kept the ladies well entertained. John(or Yanni) outside at the tropical bar was also a very likeable character. Our room was kept spotlessly clean and all of the staff were very helpful and friendly. Would have no qualms in recommending this hotel. I have just returned from 2 weeks at the Caravel Hotel and I agree with Julie Bruce. However, the Caravel has 3 bars and all of them charge a different price (pool bar was cheapest!). We spent most of our time at the Kaliva pub which was in staggering distance for us so it was fab. Food at the hotel was good but we got a bit fed up of it after the 1st week and so went to the Kaliva most mornings, afternoons and evenings (if we could, we would have booked a room there!!). Airport is horrible but thank god Tsilivi isn't far away. In general, holiday was good but I think I would prefer to stay further into Tsilivi as the Caravel is really in Planos. Our room was opposite the hotel shop so it was fairly busy from early in the morning until late at night but we got used to it after a few days and not even the daily deliveries that zoomed up and down the road at the side of us woke us up. We didn't get bitten once but there were a lot of people that did. With regards to excursions, we did the jeep safari, turtle spoting and went to Kefalonia for the day. I didn't really enjoy the jeep as I thought it was a waste of money (it cost more than going to Kefalonia for the day) as all they did was bounce you around for most of the day (hubby enjoyed it though). We just returned from Tsilivi last night, and we stayed at the caravel. It is classed as a category A� hotel. My partner and I couldn't fault a thing. We loved the hotel and really enjoyed our stay there. Our room was cleaned every day. The staff were very friendly, especially the waiters in the dining hall and the bloke behind the hotel bar, (who doesnt use measures when making a lovely cocktail!!). The location of the hotel was perfect. It has its own private beach, lovely sand, and very clean. It is ideal for children as it's shallow quite far out. The Hotel is situated about 10-15 mins walk from Tsilivi where most of the bars are, there are also a few bars and restaurants right next to the hotel, which have some sort of entertainment every night. The food was outstanding, so we thought, but we love Greek food. I overheard someone saying "why don't they have more English food" I just thought "God, why didn't you just stay at home". There was something different everyday, and we there were alternative foods for those who "can't tolerate foreign foods" or aren't too keen on them. We would love to back from the Caravel Hotel and would recommend it to anyone. We have just returned from a 2 week stay at the Hotel Caravel. A lovely hotel, very high standards of service and you cannot fault the location as it is literally next to the beach. We stayed half board and thought the buffet food was excellent - a huge choice every morning and evening. The staff were very friendly indeed, and nothing was too much trouble. I would echo earlier comments about the sunbeds though - some people were leaving their sunbeds to get ready for dinner at 6pm, and leaving their towels on the sunbeds to reserve them for the next day, which i thought was petty, but you can't really blame the hotel for that. A word of warning, the sunbeds round the pool are free, but the ones on the grass have to be paid for. It's only about �2 a day for two sunbeds and a parasol, but best to be aware of it beforehand. Also, there is a charge for air-conditioning, about �3 a day, but really well worth it, as it helps you sleep at night. The pool and gardens are lovely and relaxing, overlooking the sea, and there are steps down to the beach from the hotel. There is a lovely bar over in the far corner of the grounds, run by a nice guy called Yanni - well worth a visit. I would echo earlier comments too about the quality of the bars in Tsilivi, a bit cheesy, not my sort of thing, but there is so much going on at the Caravel that it doesnt matter, plus if you hire a car, there is so much to see on Zante. Just returned from 2 weeks half board at the Caravel and had a great time. The hotel is of a very high standard and well maintained, particularly so by Greek standards. All the staff are very professional and friendly, the food was excellent and the room for the three of us was fine, with a super balcony and bathroom (with a bath, not just a shower). The pool is good and the playground for our 4 year old was great. We had a good room with a nice view over the olive groves at the back of the hotel. There are some rooms, principally on the ground floor, which overlook the car park. We reckoned your room location depended upon which operator you travelled with and how much you paid. On the down side, there are a lot of Germans and Dutch at the hotel, so getting a sunbed is virtually impossible unless you're prepared to put your towels out at 6 the evening before. We didn't rate Tsilivi, probably because we are used to more traditional Greek resorts, but if you have children or want some night life, it's probably OK. The Caravel is really in Planos, not Tsilivi, and the beach is not the best, but with the pool and the lawns, it's not a big problem. Zakynthos airport is a nightmare, be prepared to fight for your luggage six deep at the carousel on arrival, and stand outside in the heat for at least an hour going home. It's not for the faint hearted, literally. Hire a car and have a good look around the island, Zante has a lot to offer. My boyfriend and I are staying at the Caravel hotel in Tsivili in July. We are keen to find any extra pictures or info about the hotel. Does anyone have any comments about their stay there? Is the Caravel Hotel in Tsilivi any good? We went to the caravel only two weeks ago and it was great, everyone was really friendly and the food was great just like the location and the weather. Thumbs up from me.